If you want to serve a quality food, a quality chef is the requirement of your restaurant. The research made by several restaurant and cafes shows that if you want to keep your customer happy you need to serve good food and this can be done only when you have a quality chef. Cooking Ability: Before hiring a chef take an exam asking to cook a menu given by you. This will actually help you in finding a good chef, a chef is for cooking and if he is not able to cook all his other qualities is a waste. “Formal training is very important and my company strongly believes in that. We have launched an academy called the Olive culinary academy (in Delhi), which allows young aspiring chefs to join us immediately after school and get a career graph which is unparallel to anybody else”, says, Chef Mayank Tiwari, Chef de Cuisine, Olive bar and Kitchen. Experience and Credentials: This adds to the value in your own restaurant. Experience has a greater importance when you look for a good chef. Enquire about him from the reference mentioned, insure that he can meet certain order and cook for larger group during a sudden rush at the restaurant. “You can have one restaurant doing phenomenal business, so that if you good chef goes, you can train another one. But the moment you decide to setup a chain, you need to train staff. Most of the restaurants want to pay minimum to workers and make them work for standard hours and so there is attrition.” says, Dheeraj Gupta, Founder, Jumboking. Speed and consistency: Preparing large quantities of food in a short amount of time is the name of the game for food service business. Make sure that you hire a chef who deliver a consistent product every time and is a master in cooking and presenting his dishes among the customers. 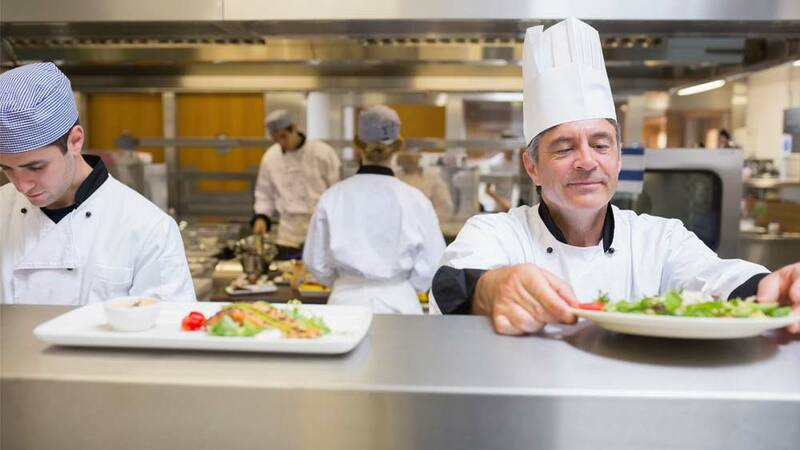 A chef is the leader: While selecting the right chef for your restaurant keep in mind that the person you select have the talent to guide people because he is the boss of kitchen under whose guidance executive chefs and other kitchen staff would be working.